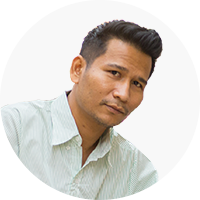 Want to invest in a 7-Eleven business but don’t know where to start? We can help. 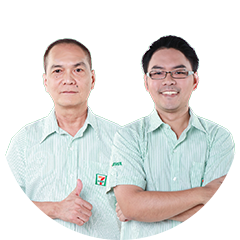 If you are not sure how to start your 7-Eleven business, we have a team of experienced professionals to provide you with guidance. If you do not have a location to open your 7-Eleven store, you can let us select a good location for you. No headaches with marketing and promotions. We have a team to help make plans for your store. 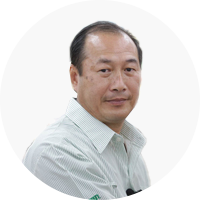 A convenient management system for 7-Eleven stores will help you manage your goods more easily. CP All has an advising department for you. When you come across a problem or marketing and promotional challenges, rest assured that you will receive proper assistance and your store will surely meet the quality standards. What are the benefits of a 7-Eleven store investment? Let’s hear some answers from the real business partners. I was the first who invested in a 7-Eleven store business. Now it has been 25 years, thanks to the good management system that has always been ready to provide assistance. The company is also reputable and trustworthy. Having a 7-Eleven store that opens 24 hours in a community is like having a center where people can meet. Because I have a confidence in the brand and their methods, now I own two branches and I am about to open my third. 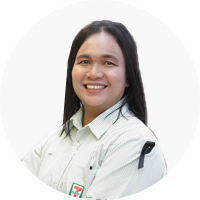 7-Eleven helps building a future from an employee to a store owner today.